GMS staff provide a variety of services related to Database Design and Maintenance, Mobile Application Development, Complete Software Life cycle Management, Geospatial Data Collection, Analysis and Dissemination, Scientific Analysis and Writing. Universal Modeling Language Implementation allows for scalability. Design meets industry specific needs with efficient integration with software. Documentation provides reference and means to track changes. GMS staff have experience with the majority of spatial and tabular database platforms available on the market today, both commercial and open-source. Designing efficient databases that meet the need of project are key to any information technology (IT) project. Changes are to be anticipated and the structure must facilitate this while reducing required code changes. Our combined IT experience helps us to best meet the need of our client while providing a structure that meets industry specific end-user requirements. 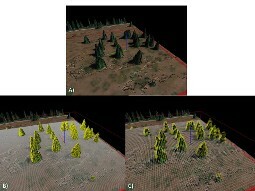 Integration with LIDAR and Other Geospatial Data. Export inputs to fire models for other analysis and simulations. GMS has the experience to develop simple or extremely complex software on mobile devices, desktops, or the web. Our staff has experience customizing ESRI, GE Smallworld, Manifold, QGIS, ENVI, ERDAS Imagine and all Microsoft Office applications. Whether the problem is simple or complex we can meet the need. 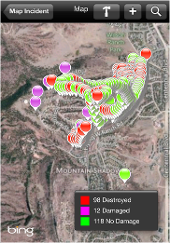 Configured and implemented hardware for CALFIRE damage assessments. Developed and installed data collection software. Provided technical support and integrated data. 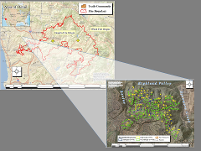 GMS can meet your geospatial data collection needs. 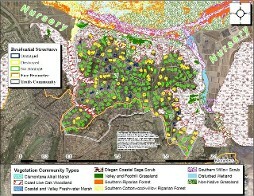 Combined Geospatial Science with Industry Specific Analysis. 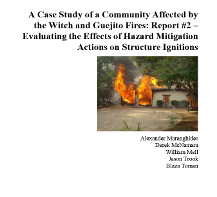 Highlighted need to assess exposure and usefulness of geospatial technology for assessing exposure to flame and embers. GMS staff can turn geospatial data into information pertinent to the discipline being examined. 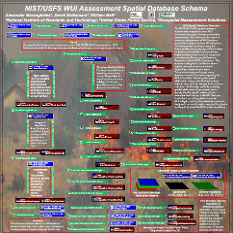 Integrating Geographic Information Science (GISci) with the Study of Wildland-Urban Interface (WUI) and Wildland Fires: Modeling, Remote Sensing and Data Collection. Multispectral imagery is prevelant throughout our everyday experiences from navigation systems to news features. Extracting information from this imagery takes the right tools and expertise. GMS can turn your multispectral data into information pertinent to your business needs. We know how to take your LIDAR data and transform it into valuable information. Unmanned aerial systems (UAS) have exploded on the market place. With any democratization of technology there are growing pains. 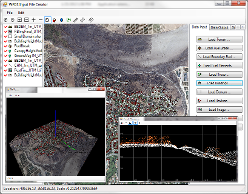 GMS knows how to process UAS data from photogrammatry to UAS LIDAR, GMS has the expertise to get the job done.